Land Use Planning would be employed to assess social, economical and physical condition of sub watershed and community needs, to identify priorities and kinds of intervention needed, to conduct a dialogue with watershed dwellers on land use options, setting land use standards, designing package of technical service, deciding mutual obligations, drawing cost sharing agreements, ensuring sustainable management and finally drawing sub watershed integrated land use plans in consultation with all stakeholders and experts of the line agencies. Land use planning in our context is viewed as a necessary concomitant to an overall rural development strategy based on integrated participatory watershed development approach. It is particularly concerned to promote a sound watershed management system, to identify erosion hazard and to plan for soil and water conservation needs as erosion preventive and soil rehabilitation measures. Recommendation on land uses necessarily advocate modifications in current land uses where they are in conflict with maintenance of the physical environment, but with awareness of the users’ needs’ both as subsistence producer and emerging commercial producers. Intensifying production and increasing per acre yields through redirecting resources towards the most suitable land units and employing improved farming systems and technologies. Modification of livestock rearing system with the emphasis on growing fodder crops, encouraging stall feeding along with the range rehabilitation project. A forestation on private and government land both as an erosion control measure and to increase forestry production. Efforts may be targeted to bring about desired changes in unwanted land uses. The Azad Jammu & Kashmir State has emerged as a pioneer in adopting the “Integrated Land Use Approach”. It has been equipped with the facility of GIS-lab. Integrated land use management approach was adopted to address critical situation and to tackle watershed problems on scientific basis. Under the project pilot areas were selected in different ecological zones to develop suitable technology package for future investment projects. The self draining catchment has been considered a better planning and execution unit. The Azad Kashmir has been divided into 351 sub-watersheds. 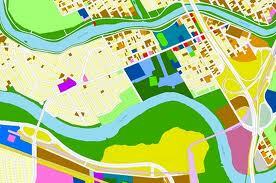 So far the land use survey and capability assessment for about 180 sub-watersheds have been completed. Over 40 sub-watersheds have received partial treatment under various development projects.